We repair all makes and models of mobile phones, including leading brands such as iPhone repairs, HTC Smartphone repairs, Nokia repairs, Sony Ericsson, Motorola, Samsung, LG and more. Mobile phone repair specialists in PDA's including Blackberrys, iMates, iPhones including 2G, 3G and 4G, XDA's and specialists in HTC models. 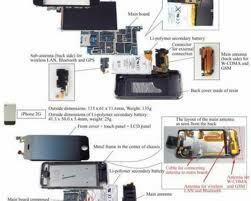 Cracked your iPhone touch screen or broken your iPhone LCD? We will fix it! Some Service Provider Locks do not allow you to use your handset other than with the service provider that you originally purchased your handset from. For example if your phone works on Vodafone UK and you want it to work on Vodafone NZ we can unlock it to work on all networks.